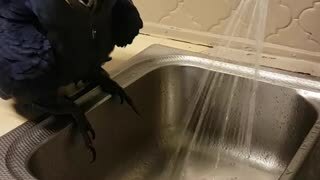 Rumble / Funny & Cute Animals - Einstein loves to perch on top of the shower and has devised a unique way to get a drink of water. He will crawl across the wall using his feet and beak in a Spiderman type fashion. There is only a 1/2 inch ledge that he grabs with his beak. He then lifts himself up and grabs hold with his toes. 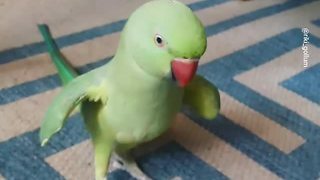 Using his other foot to propel into another position where he can grab with his beak again. He repeats this until he reached the shower faucet. He wants a drink of water so his owner promptly turned on the water for him to take a drink. He changed his mind and decided he didn&apos;t want a drink. Instead, he wanted to come down off the shower. As soon as the owner opened the door to turn off the water, Einstein headed directly for the door frame and slid down, much like Batman repelling from a building! Einstein, you&apos;ve got impressive moves! His owners don&apos;t know if they should nickname Einstein Batbird, or Spiderbird! 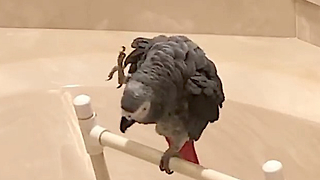 Einstein the Talking Texan Parrot is a silly, smart, and popular parrot who loves to talk and entertain! He likes to have conversations with his owners, talking, doing animal sound imitations and acting silly. He also enjoys singing and dancing in some of his video compilations. With his amazing talking abilities, and funny antics, Einstein the talking parrot’s videos will keep you entertained for hours! Einstein parrot is also famous for some of his silly quotes and sayings. Online, Einstein the talking parrot is popular across many social media platforms. Einstein&apos;s favorite places to talk at home is perched on the shower wall, in the kitchen on his drawer, and on his screened in back porch. As stated on his website, Einstein&apos;s mission statement: "To entertain and bring joy, to foster the human-parrot bond, and to convey that parrots are deserving of immeasurable amounts of patience, nurturing, and companionship." 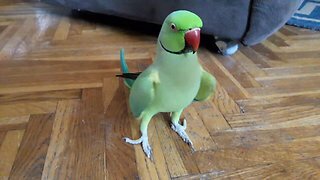 Einstein&apos;s website, einsteinparrot.com is designed to inform you about the care of parrots and also entertain you. 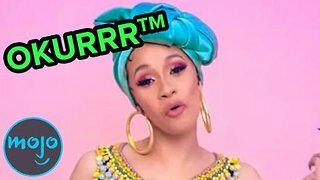 As previously mentioned, Einstein is popular on many social media sites such as YouTube @einsteinparrot, Instagram @einsteinparrot, Twitter @einsteinparrot, and Facebook @einsteintexanparrot. Living with a parrot is a big commitment. Parrots live a very long time. 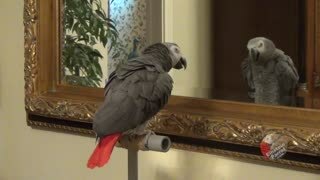 A parrot such as Einstein can live to be 50 or 60 years old. Many larger parrots like Macaws can live to be 100 years old. They all require a lot of care, proper nutrition, training, time and patience. 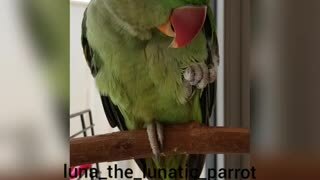 Parrots need a lot of attention and lots of toys and activities to keep from being bored. 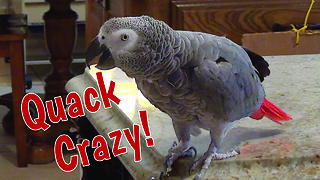 Parrots are also expensive, a large cage is an investment and plenty of play perches to spend their out of cage time. Specialized veterinarian care is also required. Most of all they require your companionship and a forever home. 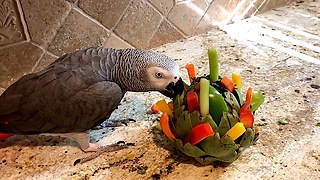 Many people decide after the first few years of parrot ownership that the responsibility is too great and the parrots become neglected and sometimes abandoned. When that happens they are sent to parrot rescue facilities to be adopted by a new family or some spend their lives in sanctuaries. It is often said, "Having a parrot is much like raising a 2 or 3 year old child for the rest of your life!" Spider bird... Spider bird... Does whatever a spiderbird would do... (sung to the tune of Spiderman).